Poker players in Australia confront some of the same obstacles as their U.S. counterparts. The current laws make it difficult to find high-quality online Australian poker sites. Those that keep their doors open for Aussie players are always in danger of fines, censure, and seizure, which has driven many sites from the market. Many have closed their doors rather than bearing the ongoing risk. A lot of players are confused regarding whether playing poker online is even legal in Australia. We’ll clarify this issue below. We’ll explain what the current legislation says about individuals who choose to play Australian online poker, so you’ll have a better understanding regarding its legality. We’ll also point you to several quality poker sites that still accept Aussie poker players. Which Currency is Used to make Poker Deposits? In 2006, the U.S. passed a piece of legislation known as the SAFE Port Act. It contained a last-minute “rider” bill titled the Unlawful Internet Gambling Enforcement Act (UIGEA). Among other things, this smaller bill prohibited financial institutions from processing transactions for poker sites. Those that continue to do so risked being fined and censured. This is the main reason many poker sites for U.S. players have closed their doors to the U.S. market. In Australia, a similar piece of legislation was passed in 2001. It was called the Interactive Gambling Act (IGA), and had a similar effect on Australian poker sites as the UIGEA did on U.S. sites. The IGA posed stiff fines on companies that offered real money poker games to people living in Australia. These companies could be fined up to AUD$220,000 per day for individuals and AUD$1.1 million for companies. So, is it legal to play at Australia poker sites online? Absolutely. As long as the sites remain open to Australian players, there is zero risk involved of running afoul of the law. That said, some sites that were once open to players living in the country have since closed their doors. Many remain, however, since the IGA is not aggressively enforced. 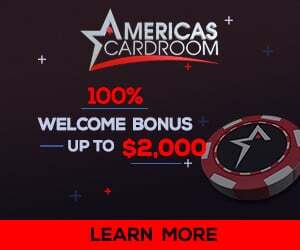 At nearly all of the top-rated Australian online poker rooms, including those on our list of recommendations, deposits are accepted in Australian dollars. Once you make your deposits, your funds are converted at the current exchange rate into U.S. dollars. This ensures that all players are betting with the same currency in order to minimize confusion. When the time comes to withdraw your winnings, most sites will convert them from U.S. dollars back to Australian dollars. Again, the current exchange rate is used to make the conversion. Keep this in mind since the rates used when you make your deposit and withdraw your winnings are likely to be different. The four online Australian poker sites above represent the current “best of class.” We recommend that you test drive each of them to decide which ones best suit your preferences.